PAPBA News - Page 5 of 24 - Port Authority Police Benevolent Association Inc. Throughout the New York metro area, police protect residents in ways that many don’t realize until there’s a crisis. A close-up look at law enforcement training on Wednesday for a crisis situation shows how intense and necessary that readiness is. A driver caught blowing through E-ZPass at the George Washington Bridge owed more than $20,000 in tolls, authorities said. Juan Gutierrez, 33, of the Bronx was behind the wheel of a black Honda Pilot stopped just before 7 a.m Tuesday, said Lenis Rodrigues, a spokeswoman for Port Authority police said. 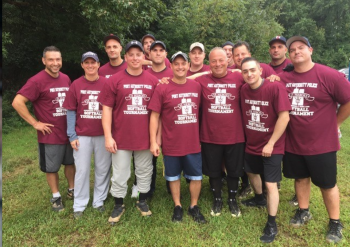 The Port Authority Police Department held its annual “38 Heroes Softball Tournament” last weekend at the Richmond County Sports Complex in Travis to benefit officers and their families who are in need. 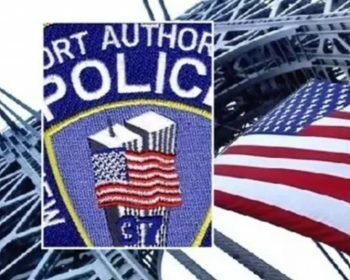 Lt. Robert Sbarra, Officer Louis DeFelice and Officer Paul Nunziato, who now serves as the Port Authority Police Benevolent Association president, started the tournament 20 years ago to provide a fun activity for off-duty officers. Donari Mosby had collected more than 3,000 pairs of socks for the homeless this year but when a small fraction of them were stolen from her parents’ vehicle Friday, she was devastated. A Jersey City woman has been charged with throwing hot coffee on a gas station mini-mart employee and robbing more than $350 — the third time since Thanksgiving she is accused accosting someone with liquid.